Bread is the ultimate test for a stand mixer’s strength. And, it is where most of them fall short. Even though almost all models include dough hooks, only a few truly measure up to the challenge of bread making. You may have landed here expecting to find the single best stand mixer for bread dough. Let me assure you… there is no single model that is best for every baker that makes bread. The question of “best” is a loaded one because what is best will depend on a lot of factors. Will you use it for white bread or whole wheat or both? Will you use it for all bread types? How many loaves at a time? How often do you make bread? Is budget an issue? Once you have determined the answer to those questions, it boils down to whether the mixer has the strength and capacity for your requirement. Most people look at wattage to gauge how strong a stand mixer is. But that is not a good indicator because a mixer’s declared power is not entirely its mixing power. The machine itself will consume some of that wattage to run and operating consumption varies. What power is left for mixing will also depend on a machine’s efficiency…losses, design gear system, etc. That is why you can find a model that have lower wattage but is tougher and stronger than one with a higher wattage. A better gauge of “mixing power” is torque. … torque in kitchen mixers is not measured. There are very few stand mixers that can handle serious bread making. You can count the really good ones in one hand. In fact, there are only three highly recommended models. I have summarized here the top three brands and models and placed it in a comparison table. Only models for home use and for small commercial quantities are considered not large commercial machines. 5-6 loaves regular bread, 1-1/2 batches of bagel, 15 pounds of whole grain dough. 600 Dough roller, dough hook, dough knife, dough scraper, yeast lid, 7-liter stainless steel mixing bowl plus double beater with 3.5L plastic bowl, balloon and cookie whisks. Handles big batches of regular and wheat dough well. Good for multiple loaves. The Bosch Universal Plus and the Ankarsrum AKM 6220 easily get the votes of serious bread bakers. They don’t look pretty on a kitchen countertop. In fact, they look more like science laboratory (I used to work in one) machines. But, you’ll find that they are solid workhorses and don’t flinch with multiple loaves in a single batch. 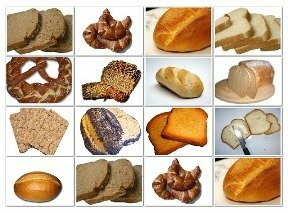 They are the go to models of those who routinely make big batches of white bread, bagels, whole wheat bread, pizza dough and other dense mixtures. They’re not wise choices if you only make 1-2 loaves at a time. However, the Ankarsrum is a good fit if you make both small and big batches. The motors of these stand alone mixers are underneath providing open access at the top. They are not the planetary mixer types rather their bowls turn while the hook or roller spins in one place. The way the bowls and attachments were designed make them efficient at mixing. The Bosch Universal Plus also has several attachments that can be purchased separately. The Ankarsrum, also known as Electrolux Assistent, Magic Mill DLX or Verona, has a spring loaded arm where the roller attaches, and which can be easily adjusted and moved. It also has a separate scraper that attaches to the arm. The Professional 600 model is a popular choice among home bakers who only need a mixer that will make 2-4 loaves at a time and small batches of bagels and wheat bread. It has an overhead motor like the Artisan KSM150P mixer. Hobart is another reputable brand for tough mixing jobs, however, it is over $2,000 to over $3,000, hence it is not popular among home users. Some bakers have more than one stand mixer to deal with their various requirements. They have one for smaller batches and another for those heavy mixing jobs. Some even have three. So, if your mixing requirements run the gamut of light to heavy, you should consider matching a mixer to each of your needs.